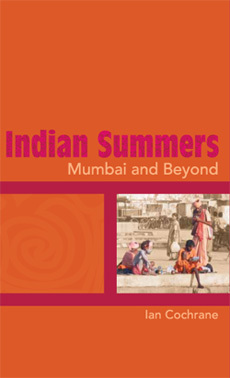 Indian Summers is about being there, in this land of two million gods; commingled with Cochrane’s nostalgic memories of 1967’s Summer of Love – gurus, tie-dye and cheesecloth-clad women with flowers in their hair; youthful bearded men in patched jeans and psychedelic headbands. Touching down in the mixed-up metropolis of Mumbai, with its 20 million souls, the most horrendous traffic in the world and the largest slums in Asia, he discovers the gods of cricket, Bollywood and billionaires. In 13 stories, two maps and 100 photographs, you’ll untangle glimpses of India in all its idiosyncrasy, viewed through the kaleidoscope of past and present and told by an accomplished teller of tales. 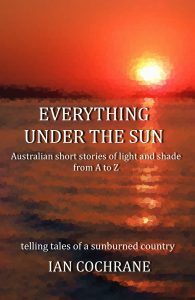 Telling tales from a sunburned country, an Antipodean oddity both urban and Outback; the journey often nostalgic, reflective, happy or sad – sometimes all of the above, with over 30 images included. The stories are an eclectic, compilation of assorted bibelots, loaded with lyrical imagery. And while there is lots of `travel’ in this wandering, walkabout of a book, the stories are really more about people, places and the human condition. Most have been previously published here and there, in some form at least, scattered across various blogs, the occasional newspaper and/or offered up in a literary competition. They vary in length – a menagerie of the tall and the true – heartfelt vignettes suitably laced with longing and derlust; all intended to lead the reader to who knows where. Telling tales from a small world; the journey often nostalgic, reflective, happy or sad – sometimes all of the above, with over 50 images included. The stories are an eclectic, compilation of assorted bibelots, loaded with lyrical imagery. 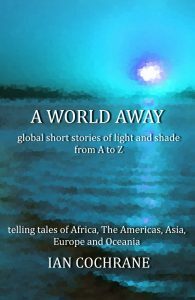 And while there is lots of `travel’ in this wandering, world-wide walkabout of a book, the stories are really more about people, places and the human condition. Most have been previously published here and there, in some form at least, scattered across various blogs, the occasional newspaper and/or offered up in a literary competition. They vary in length – a menagerie of the tall and the true – heartfelt vignettes suitably laced with longing and wanderlust; all intended to lead the reader to who knows where. BROKEN walls topple, taking their last defenders with them. Canal bridges, city gates and the cathedral burn. Steel clashes with steel, horses’ hoofs pound stone roads and women drag screaming children, the old and infirm towards the hills and mountains. Columns groan and collapse in an apocalypse of billowing dust and smoke. UNDER a canopy of mountain palms, primeval smells of black mud and musty rainforest drench the air. Sphagnum moss smothers stunted trunks with bright green velvet, while moorei orchids cling to rotting stumps in an understorey of lichens, staghorns and more than 30 species of fern. 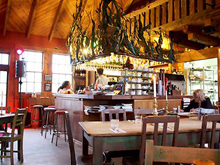 AFTER a month tramping the wilds of New Zealand’s southwest, surviving on packets of dried hiking food, we sit at a stripped-back table at Fleurs Place in Moeraki on the Otago coast. Ian’s Australian Outback short story `A Splendid Memory’ is included among the non-fiction 2013 Cowley Literary Award finalists.